this is my cross tattoo that i got on my back between my shoulder blades. 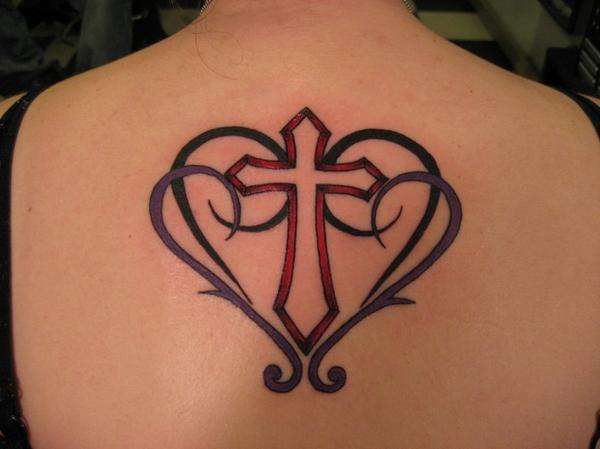 its my first tattoo the red onthe cross is my birthstone and the purple in the heart is my brothers birthstone. my brother has the same gross on a smaller scale tattooed on his chest. The Red makes it jump out! Looks Good!